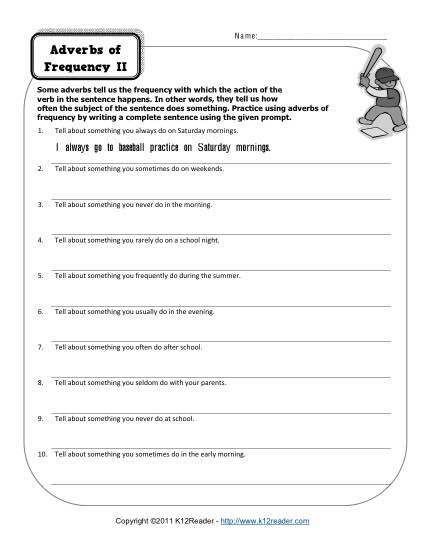 Here’s another worksheet on the adverbs of frequency, such as rarely, frequently and often. There’s a writing component in this as well, as your youngster will compose sentences. It’s appropriate for 2nd and 3rd grade Common Core Standards for Language, although other students may also find it helpful.